i had transfered contacts from my pc as i was having it with me. I also successfully transfered it on to samsung s5233 via samsung studio but i am unable to find the contacts in samsung cell…..
thanks very much dude …….it was very helpfull………..cheers!!!!!!!!! Need some quick takes from you. (1) Are you happy with yr GT C5215. (2) Is it true that if i set the profile as “In Meeting” in this phone and activate the auto SMS reply feature then this mobile can send an automated sms to every missed call ? I reiterate “missed call” not “rejected call” meaning i dont press anything to send a automated sms. Thanks and will appreciate yr help. not too happy with the phone… the voice quality/clarity is pathetic. Wauw, I´m impressed. Thanks for the great tip. You and the software writers are my heroes today! Hey, I have a nokia 6235 CDMA phone. I need to convert the contacts in it into excel or pdf format. Can you please help me out? 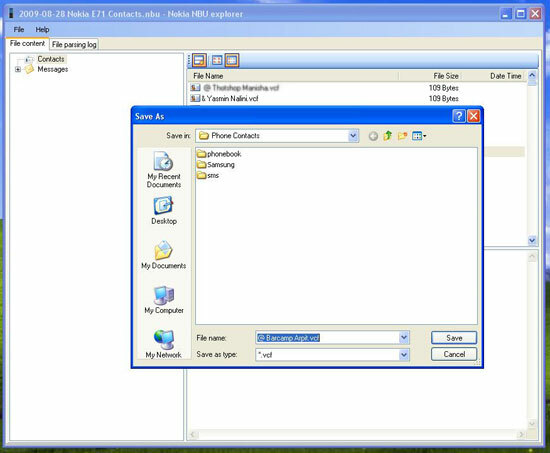 New Noki Gems – SMS merger for Nokia PC Suite .nbu files. Also from NokiSoft. i had nokia 6300 and have it’s backup no software is working to convert nbu to vcf i have htc hd2 windows mobile help me out mate. thank dude!..its very superb solution! thanks dude.. finally found the right software… boy what an ordeal.. Check the Nokia data recovery guide on Noki site which covers the details of data recovery of each category. Hey. Does this application work for an Android as well? You’ve made my day, Kunal!! It gave hundreds of vcfs, i copied them to my galaxy s2, then used the “Import Contacts” app in the s2 and selected the folder which has the vcfs, it imported them smoothly one by one.. I wasted 3 hours transfering from the worst Nokia 6300 contacts to PC, via outlook,then came to PC SUite and finally NBU Converter you suggested. But can you help me with the extra fields supported by nokia contacts that I cannot see in Samsung. I struggled for last 2 days to Sync my contacts from Nokia to HTC. I got it now !!!! You are one trouble shooter. Its so easy now to transfer my contacts from Nokia 2690 to Micromax a70 Android. Thanks, your my savior for the day !!! by the way can I restore my messages too? hey very useful information and wonderful application. thanks for the help!! Thanks. NBU explorer works perfect! 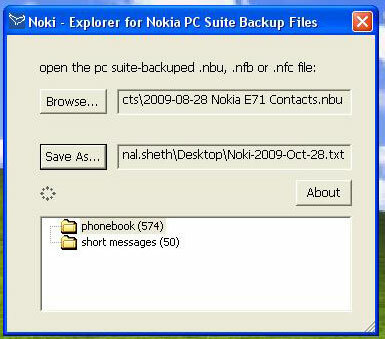 Hi Kunal….am trying to move my smses to a Samsung galaxy Pro for the moment…..
hey, i hav nokia 5530 xpressmusic. i used nbu explorer but its showin the wrong time for sms..?